Three storied pagoda (三重塔, Sanju-no-to) of Kofukuji Temple (興福寺) in Nara. 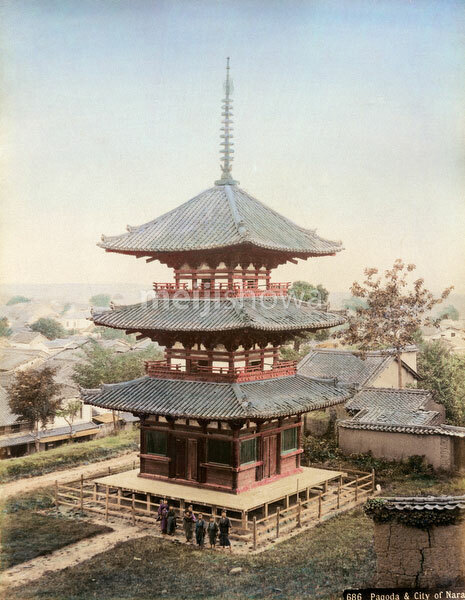 The pagoda was constructed during the early Kamakura Period (1185–1333). It is a reconstruction of an earlier pagoda built in 1143.